Privacy is on notice again with a recent discovery regarding the Ring doorbell system. In this case, it’s possible for an attacker to gain access via the associated app and perform man-in-the middle attacks. This then allows whomever it is that gets that access to spy on the owners and whoever comes to the door. Granted, in this case the attacker would need to have access to the same network on which the Ring is connected. While at home, it’s less likely this will happen although it’s still possible. But if the users connect to public wireless, it’s not out of the question for things to go awry. And, another condition for this to work is that the firmware and app need to be on versions other than the version available in early March of 2019. So, there are a couple of notes here. First, be sure to update all apps and firmware for all internet connected devices (that includes, but is not limited to game consoles, e-Readers, toys, security systems, and even crockpots) as soon as those patches are released. In the case of Ring (owned by Amazon), it often just does this automatically for the firmware. The app however, allows you to control it, should you choose. It’s recommended to just set all of your apps to automatically update. Then you don’t have to worry about it and vulnerabilities like this are covered for you. In addition to that, make sure your wireless network password is strong and definitely changed from the default password. If you’re installing a new internet connected device, one of the very first things you should do after you get administrator access is change the administrator password. Then update the firmware. Often, these hardware pieces sit on store shelves for a while and updates are issued in the meantime. So, do this quick check after you’ve changed your admin password. Being able to control your thermostat, security system, smart outlets and other items in your home when you’re away is convenient and quite nice. But make sure you keep them safe too and they will keep you as safe as they can. A particular target of this is Ukraine, which was also hit last summer by crippling malware attributed to the same group as this one, FancyBear (aka APT28, Sandworm, Pawn Storm, Sofacy, Sednit, Tsar Team, and x-agent). 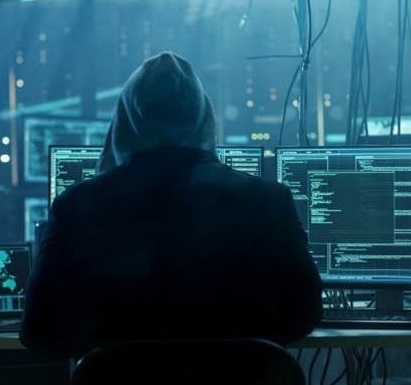 According to both Cisco and Symantec, many brands of routers may be infected with this including Linksys, Microtik, Netgear, QNAP, and TP-link. Last week, the FBI seized the domain that was controlling VPNFilter and at least was able to partially block the attackers. Now they are issuing the advisory for everyone to power cycle their routers. Once those are rebooted, make sure that they are updated with the latest security patches and that the default passwords are changed to something strong and difficult to guess or to figure out using brute force attacks. This means don’t make your password “football,” “password,” or “12345678,” or any variations of those. Be sure they are at least eight characters, are not dictionary words, names, or dates that are connected to you. Use upper and lower case letters, special characters, and numbers. There is still a lot to be determined about VPNfilter, but the FBI believes the Kremlin is backing FancyBear and therefore may be behind this malware. So far, it’s believed that it turns the infected routers into a massive botnet that may be intended for a major cyberattack against power grids. If you have any of these, make updating them a priority. And because it’s likely others will be identified later, be on the safe side and make sure any device you have is updated and the default password is changed. If you own a laptop, tablet, or other mobile device, it’s likely that at some point in time you have connected to a WiFi access point. In some cases, this access point might be in your own home while in others it may be at work, a hotel, airport, or your local coffee shop. No matter where you connect, the reality is that WiFi has eliminated the need for wires and enables you to remain connected throughout the day. 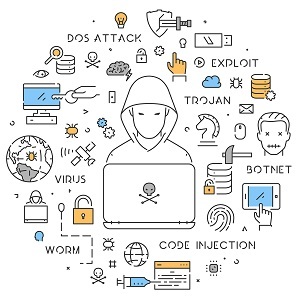 Unfortunately, when dealing with technology that everyone is using, cybercriminals are generally also going to have an interest. So it should be no surprise that as WiFi has increased in popularity, so have the ways in which WiFi can be attacked. It was not so long ago that the biggest concern with WiFi was that criminals would try to hack into them to gain access to the networks they were connected to. While this was and still is a real threat, many new security technologies have become available to limit the amount of exposure a WiFi device may have. Yes, many home users may be still be at risk of some random person sitting in a car out front hacking into their networks via their WiFi, but for most organizations the risk has been greatly reduced through technology. That said, it doesn’t mean that the issues related to WiFi have gone away. Unfortunately, cybercriminals have instead just adjusted how they attack WiFi. 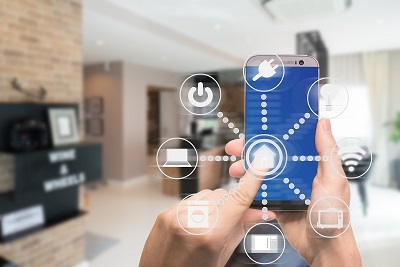 When you walk into your office or your home with your mobile device, chances are that your device will automatically connect to the WiFi access point. The same goes for your tablet or laptop. That’s because most devices are set up to learn a location and then remember it the next time you return. This eliminates the need to manually look for the WiFi access point every time you turn on your computer or return to the same location with your mobile device. The problem is that in some cases your device may not actually be connecting to the WiFi access point that you think it is. You see, criminals realized that they can broadcast a signal that looks just like the WiFi signal at your office. So, when your device sees it, the device connects to the fake WiFi signal instead of the real signal. To makes things worse, in some cases the criminal can also perform what is known as a “denial of service” on the real WiFi device, causing it to stop broadcasting a signal. Then only the fake signal will be available. There are two primary risks associated with connecting to a malicious WiFi access point. The first risk is that now the criminal has direct access to attack your device on the network. This means if your laptop, tablet, or other device is not up-to-date on the latest patches or if there is a new vulnerability that does not yet have a patch, the criminal can exploit those issues and gain access to your device. This could lead to spyware, ransomware, or other malicious software being installed. The second risk comes from using the fake WiFi access point to connect to the Internet. 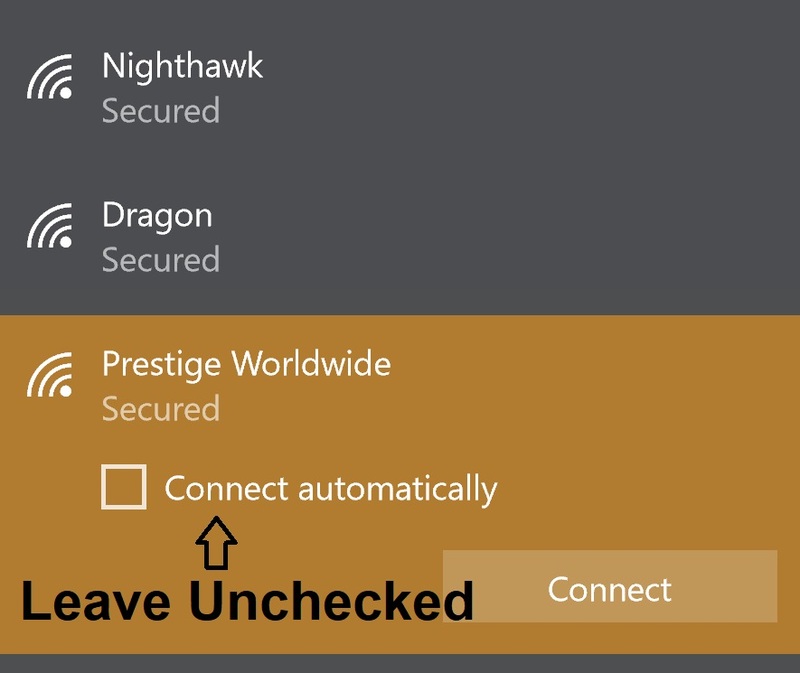 In most cases, when you connect to the fake WiFi access point, your connection will seem normal. You will have access to the Internet and everything will be at full speed. However, when you attempt to connect to a secured site such as online banking, you will receive an error message telling you something is wrong with the connection instead of the website coming up. The reason for this error is that the criminal has inserted himself between you and the sites you are connecting to. This allows him to monitor everything you view and type. That error message is the only indication you will receive that something is wrong. However, most people just assume that it’s no big deal and click the “continue” button to stay on the website. Once they choose to continue, there is no security from that point on, and the cybercriminal will have the ability to record everything including your logins, passwords, and any other personal information that you may type into any website. Because detecting phony WiFi access points is difficult, the most likely time for you to detect a potential issue is when you browse to a secured site (any site that starts with https://). If you attempt to connect to a secured website and receive a message saying there is an issue or error with the security certificate, you should stop immediately. There is never a situation where a broken security certificate is normal and under no circumstance should you ever proceed. If you receive a warning, error message, or other notification that there is a problem, stop, pick up the phone, and contact your supervisor. If you are not at the office, but are at a public location, again stop. Remember that it does not matter where you are; a WiFi attack can happen at home, at work, or at any public location. Living the smart life is gaining popularity among busy households and those who appreciate the convenience. Who wouldn’t love to come home to an environment that’s been perfectly planned? Setting lights, temperature, security cameras, and more are at your fingertips. However, the growing popularity of smart technology means one thing for sure – hackers take notice and figure out how to undermine it. Many smart home residents are wondering just how smart the technology is to begin with and is the convenience worth the risk? With each smart home product on the market offering different household controls, there’s one thing they all have in common – a smart hub. These are the control systems for security, electricity, heating and cooling, and more. A smart hub serial number is the master key to download smart device commands which are then sent to individual devices via the hub. 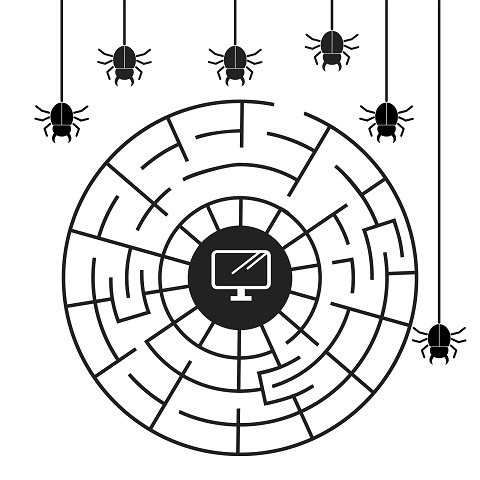 Smart hubs are the nerve center for all the connected devices and they’re vulnerable to hacking. Experts believe these hubs lack security and the rush to put smart home devices on the market led to this. Newer devices may start addressing security issues, but there are plenty of smart hubs out there already up for grabs. There are precautions a smart homeowner can take while waiting for security to catch up. Of course, nothing is 100% guaranteed but it’s a start. As soon as you install any hardware devices, download and apply any updates. These often sit on store shelves for a while and patches get issued during that time that need to be installed right away. Never use the default hub password. Change it immediately. Use a complex password and change it on a regular basis. Choose a smart device that encrypts and authenticates communications. Two-factor authentication (2FA) is an added bonus and should be utilized whenever available.? Don’t share sensitive information about your smart devices, especially serial numbers. Beware posting pictures on social media where a device serial number may inadvertently be shown. Never use second-hand smart devices. You never know if their security has already been compromised. Keep aware of security findings and updates about your smart devices. Finding there’s a security weakness and a security upgrade available to address it can spare a lot of future headaches.